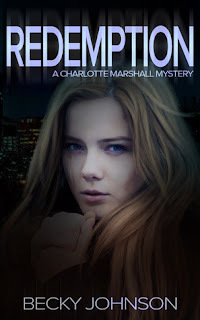 Charlotte Hubbard has done it again! 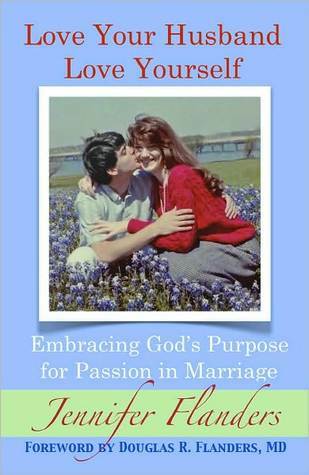 With A Simple Vow, she has created a story of faith, love, and forgiveness that will tug at your heartstrings. Edith Riehl lives with her sisters and dat Cornelius, who is the new deacon in Willow Ridge. Having been left unable to conceive from an early age, its a true blessing when a set of twins is left under her care. She's not quite sure what Asa Detweiler's story is, but she knows she is as taken with him as he seems to be with her. 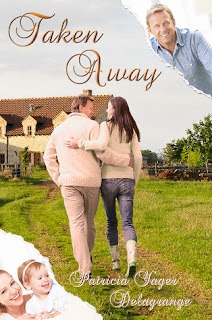 With one simple vow, Edith and Asa's destinies are intertwined. But her dat will have none of it. Will God bring their hearts' desires to fruition? 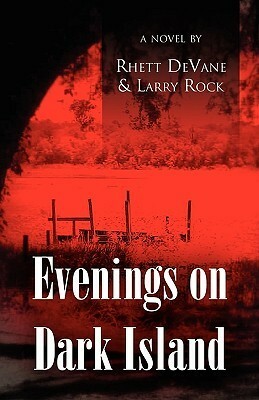 If you love Amish fiction, you simply can't go wrong with a book by Hubbard. She knows her genre and she masterfully tells her stories, drawing you in from beginning to end. 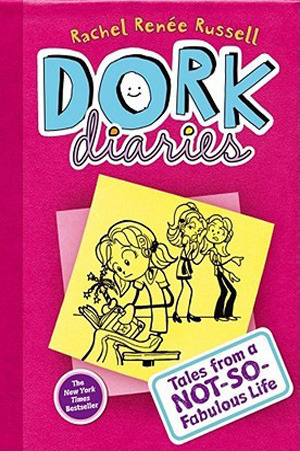 When her Seasons of the Heart series ended, I was so sad. 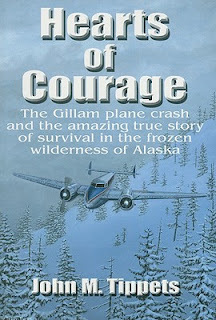 I had come to love many of the residents of Willow Ridge and couldn't believe I wouldn't be reading about them again. The Simple Gifts series is somewhat of a continuation of that series. 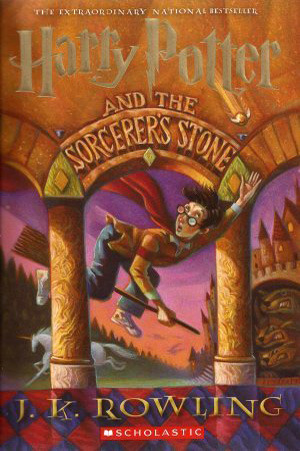 Its focus is slightly different, but it's still set in the same place and many of the characters that readers are familiar with appear. I can't say I've ever seen this done before. I love it! 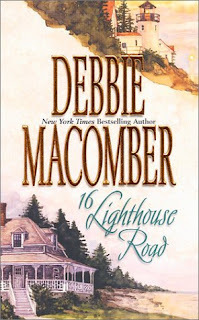 What I have always appreciated about Hubbard's style is that she creates real characters. They are sinners...just like me. They doubt...just like me. They stumble and fall, but through the grace of God find what they need...just like me. 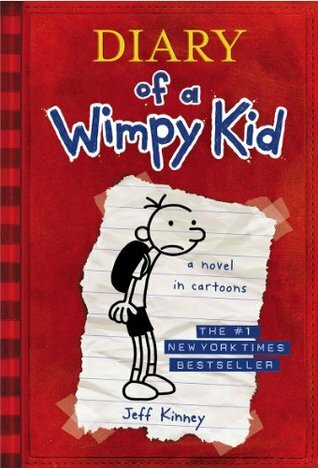 With this novel you even get a surprising plot twist too. 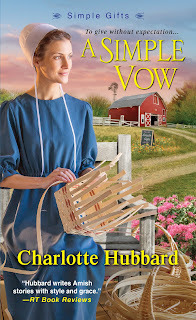 If you enjoy Amish fiction and haven't read Charlotte Hubbard's work yet, make a plan to change that soon. You won't regret it. Edith stood beside her bed gazing down at the twins in awe. 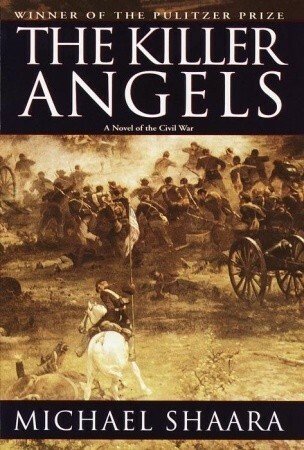 So small they were, and so sweet—like little angels—now that they’d eaten and fallen asleep. She’d arranged them in large cardboard boxes padded with towels, and finding them beds and more clothing was her first priority. Will’s box of supplies had included a very short stack of cloth diapers, half a dozen onesies, a blanket apiece, a half-used canister of powdered formula, and a few baby bottles—not much, considering she had two babies to look after. Molly had probably been too ill to sew for them, and not able to nurse them because of her cancer. 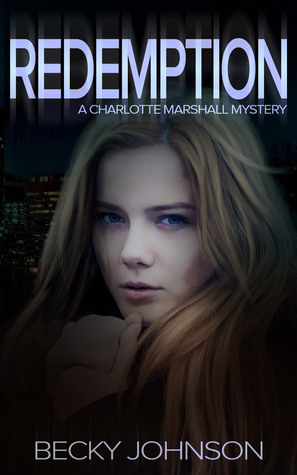 What a heartache that must’ve been for Molly—and for Will as he watched her weaken and die. Edith sighed. So much about Will’s situation and these children was a sorrowful mystery. I’m watching out for your best interests, Daughter. You entered into this agreement without considering the long-term consequences. Edith frowned as her father’s words taunted her. Dat was right about her tendencies to nurture hopeless souls and underdogs, but wasn’t that what the Bible urged Christians to do? What doth the Lord require of thee, but to do justly, and to love mercy, and to walk humbly with thy God? The verse from Micah had been one of the earliest Edith had committed to memory—the watchword of her faith. Even as a child she’d rescued little birds that had fallen from their nests and had bottle-fed baby rabbits and deer after their mothers had been hit in the road. Edith sighed. What future would these poor motherless children face if she didn’t care for them? She had to find a way around Dat’s refusal to keep them in the house . . . in her life. Already her heart swelled with love as she gazed at Leroy and Louisa. 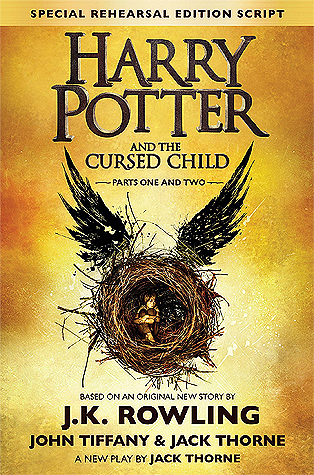 I highly doubt I'm the only HP fan eagerly awaiting this one. What are you waiting on this week? Interesting topic for this week. I'm glad I decided to participate. Hope you'll share some of the things books have inspired you to do or learn about. We had another wonderful vacation on the Outer Banks. As I mentioned before we left, I had plans to read... a lot. Well, that was prior to real estate. I worked a fair amount from the beach, so I read less than half what I usually do. That said, working from the beach is heck of a lot better than working from home. 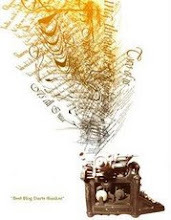 What I am still reading is Portrait of a Conspiracy by Donna Russo Morin. I like it. The story is engaging and the characters interesting. I'm just a bit confused by the whole thing. I feel like I don't know what is going on and I'm twenty chapters in. 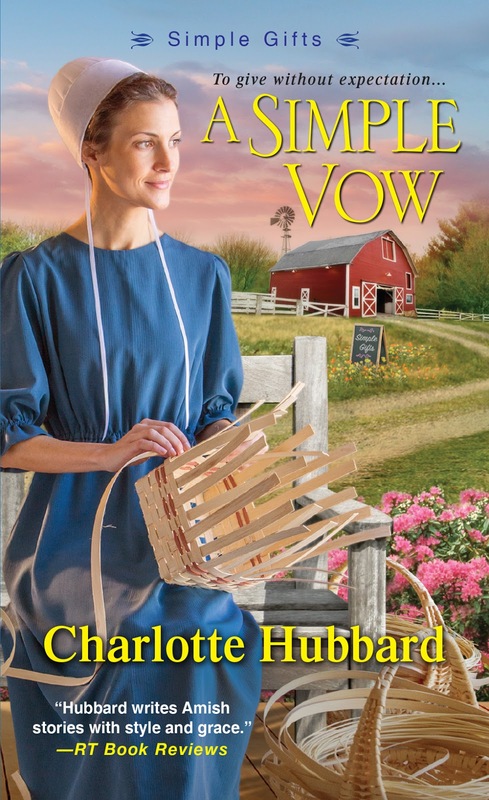 I'm also reading A Simple Vow by Charlotte Hubbard. I'll be reviewing this one on July 29th, so be on the lookout for that. As for my favorite "chunky" book, I would have to go with The Stand by Stephen King. It took me a while to get into, but once I did I was hooked. Anna's Healing by Vannetta Chapman is a story of love, faith, and miracles. Anna Schwartz has moved to her aunt and uncle's farm in the Amish community of Cody's Creek in Oklahoma. 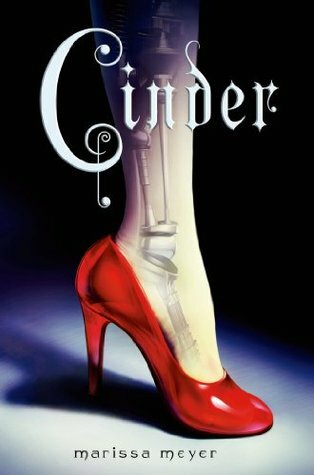 Once a vibrant young woman, when a tornado leaves her a paraplegic, she struggles to adjust to her new life. Thankfully, she has friends, Chloe--an Englischer who writes for the local paper--and Jacob--a newcomer to town, along with her grandmother to help. One day, Anna finds herself healed. How did it happen? And why? Soon everyone wants to know about this young Amish woman who has experienced the inexplicable. What a fantastic, emotional novel. 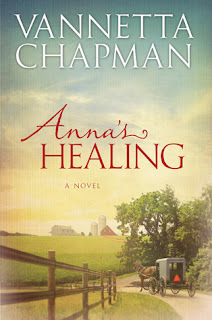 Chapman has filled Anna's Healing with a host of engaging characters whose stories beg to be told. An uncertain young Amish woman, a reporter who befriends her, a young Amish man who has been traveling and has no immediate plans to call any place home, a distant aunt and uncle, and a grandmother whose faith never waivers. While the story truly revolves around these characters, the author does justice to the secondary characters in the story as well. She creates a community of people who become as real as your next door neighbors. 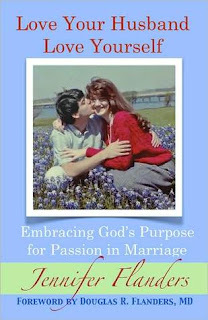 This is a book that will have you thinking about the amazing love God has for us. It might make you reconsider how you feel about the miracles that take place around us every day. For me, it was a reminder of being steadfast in my faith and of not taking life for granted. You'll be moved by Anna's story. I know I was. I'm certainly eager to read the next book in this series. BLURB: I’m not a political person by nature. Most of the time, it seems the political world plays out more like a lame ‘70s sitcom with all its predictable characters and routine storylines. However, last spring, I got tired of hearing friends and family complain about the lack of exciting, innovative candidates for president. Everyone seemed ready to vote for "None Of the Above." So, I decided to take a 10,000-mile road trip across America in May 2015 to meet several of the more than 1600 "real people" who are legit candidates for the presidency. Including a couple in New England. 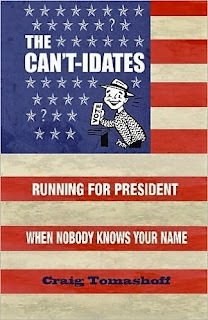 The Can’t-idates: Running For President When Nobody Knows Your Name is available at Amazon. Most of these stories are innocent and well intentioned. They tend to achieve the desired effect of keeping our kids believing in the unbelievable and living the good lives we want them to live. There is, however, one complete and total lie we have spun for years that may be doing far more harm than good. It has wreaked havoc on our entire democratic system. We tell America’s future leaders that if they work and study hard, any of them, no matter where they came from, can one day be President of the United States. Presidential candidates want you to believe in this fiction because it humanizes them. They spend huge chunks of their day trying to portray themselves as men and women “from Main Street and not from Wall Street,” each one attempting to out-ordinary the next by sharing everything from stories of immigrant parents to childhood newspaper routes to their favorite barbecue recipes. And that’s it. Turn 21 and you can drink. Turn 25 and you get a better rate on your auto insurance. Turn 35 and you can be the Commander in Chief. It all seems so simple. Which is maybe why we constantly remind our kids that someday it could be them. It really does seem that almost no one is ruled out of this race. At least that’s how it feels if you spend three minutes viewing any cable news outlet once the election cycle starts spinning. I could swear that at one point, the only person not running for the Republican presidential nomination was that crazy old guy you see arguing with cashiers at the grocery store. And even he would have led if he weren’t so busy watching Clint Eastwood movies and telling the neighborhood kids to get off his lawn. COVER: Cute cover. Patriotic and fun. 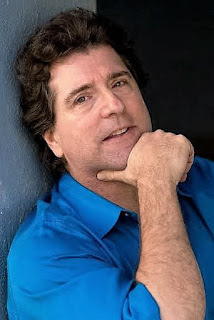 FIRST CHAPTER: After an introduction into how disenchanted the author--and probably the rest of us--have become with the presidential nomination process, author Craig Tomashoff talks about his meeting with Doug Shreffler, a fellow citizen who was trying his own run for president. KEEP READING: Probably. I like political stuff, even if I have to admit to being frustrated by the whole election cycle. Tomashoff shines the light on regular people who have aspired to become the president of this great country of ours. He shares their unique stories, their motivations, and their ideas. His latest book is The Can’t-idates: Running For President When Nobody Knows Your Name. I received a copy of this book from the author. This first chapter review contains my honest opinions, which I have not been compensated for in any way. Hard to believe it is Monday again. I hope you all had a wonderful week. Today's random question is a great one and I didn't even have to think about it before choosing the worst offender...in my book. 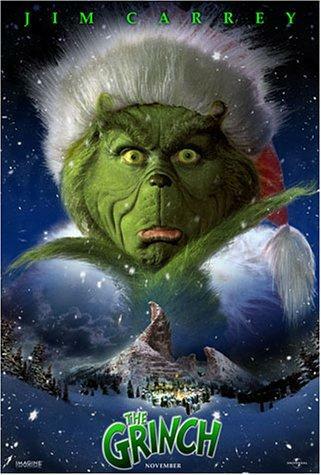 In 2000, talented funny man Jim Carrey starred in The Grinch. Based upon How the Grinch Stole Christmas by Dr. Seuss, it is the story of a grumpy loner who tries to end Christmas down in Whoville by stealing all the Christmas presents, decorations, and food. Despite all his hard work, the Whos down in Whoville celebrate Christmas anyway. Turning a short book that became a half hour TV special into a full-length film must have presented some challenges. That's when the writers created some backstory for Grinch and the inhabitants of Whoville. That two sisters discovered a baby Grinch and adopted him was okay, but wild parties where they were collecting keys to keep everyone safe, having a young Grinch bullied at school, the sexual references that come about because of the mayor's attraction to one of the town members and her attraction to the Grinch, and the overall crude humor doesn't fit in with the essence of the book. Did you see the movie? What did you think of it? Award-winning author Jerome Charyn returns to the world of Emily Dickinson in his latest biography, A Loaded Gun. With his thought-provoking, eloquent style Charyn explores the complex woman often referred to as the Belle of Amherst. At times shy, yet, sometimes bold, this often misunderstood poet has fascinated readers for generations. 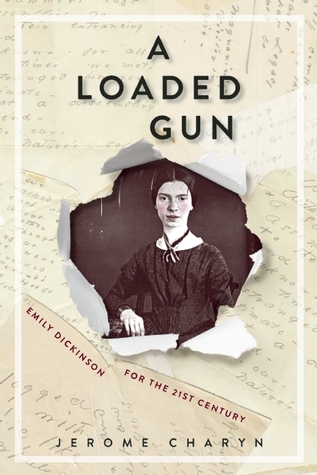 As he did with his novel, The Secret Life of Emily Dickinson, he entices the reader to reconsider what they know about Dickinson. Was she merely that reclusive spinster trapped in her "Pearl Jail" at the Homestead or was she a gifted writer scribbling fragments on brown wrapping paper and stray envelopes that spoke of a passionate woman who chartered her own destiny and whose words inspired works of art? The depth of Charyn's research is clear from the start. He's studied previous biographies, explored Dickinson's letters and poems, and interviewed experts to bring what he sees as the real Emily Dickinson to life for modern readers. More than a woman who was trapped by her father in the family's home, more than someone's odd aunt or sister, more than the cockeyed girl in a dark dress we know from the daguerreotype, Dickinson was a powerful woman who seduced people with her words. It will be interesting to dig out my Emily Dickinson collection after reading A Loaded Gun to see if my own perceptions of her work have changed. Ultimately, I don't think we will ever learn more about Dickinson than she wished to share with us, but Charyn's in depth look at her life has definitely brought me closer to this "unknowable genius." 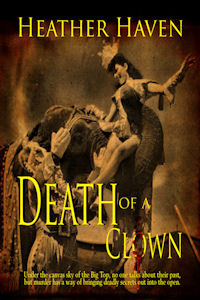 I received a free copy of this book from the author through Tribute Books Blog Tours. This review contains my honest opinion, which I have not been compensated for in any way. Who knew blogging would provide so many of us with more reading material than we could possibly read. 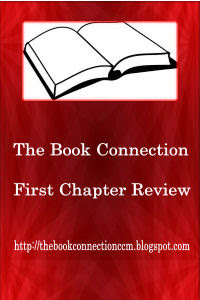 I remember my early days of blogging in 2007 when I had to review books I had bought simply to draw attention to my blog. Now? I haven't been able to open The Book Connection up to reviews in years and I am still behind. Yet, the requests keep coming. Perhaps that is because longevity in blogging isn't always the norm. 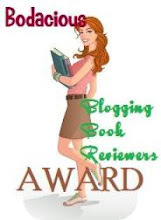 When I was working in online book promotion, I can't tell you how many bloggers just dropped off the face of the planet with no explanation leaving promised book reviews unwritten. But we must understand that most bloggers are getting paid only in free books and that life sometimes gets in the way. 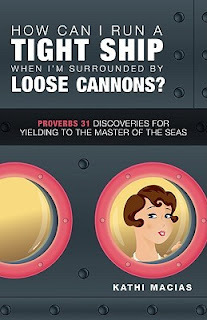 Right now, I owe two for virtual book tours that have already ended: Portrait of a Conspiracy by Donna Russo Morin and A Loaded Gun by Jerome Charyn. I'm reading both now while on vacation and hope to have these reviews posted by the end of next week. I wonder what your TBR pile looks like right now because mine is ridiculous. Not even counting all the free Kindle books I'vev downloaded it must be in the hundreds. Reading is supposed to be enjoyable and relaxing. When it starts becoming regulated, does it become less of both or either? How many books do you think are in your TBR pile? Have you made changes in how many books you accept to keep your TBR pile at a manageable level? 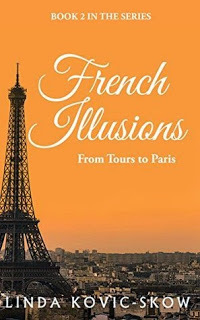 Have you ever or do you now participate in virtual book tours? 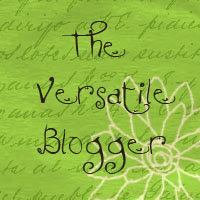 How has that influenced your blogging choices? 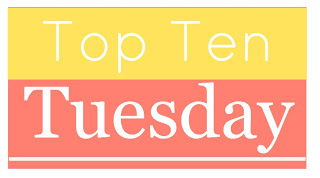 Has a large TBR pile ever forced you to stop taking new review requests or to temporarily stop blogging? 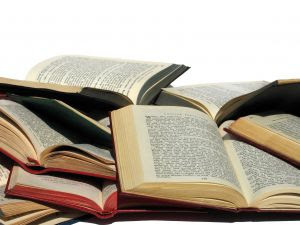 Have you ever participated in a reading challenge to help you whittle down your TBR pile? Has it helped? 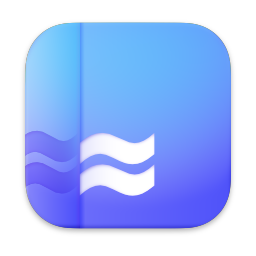 Why I liked it: This story is filled with a ton of emotions. 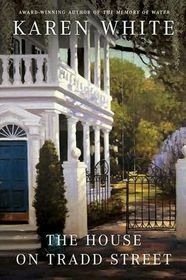 Why I liked it: A strong plot, well-defined characters, and a hint of romance swirl through the pages of this dangerous cat-and-mouse mystery. 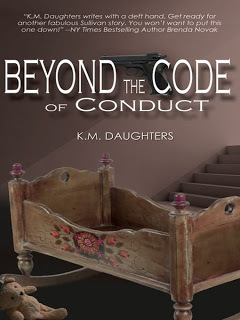 Why I liked it: This mystery/suspense novel offers a well-written story, a unique plot, and superbly drawn characters. Why I liked it: This vampire spoof combines everything southern and quirky characters. Why I liked it: This author was already a favorite of mine. 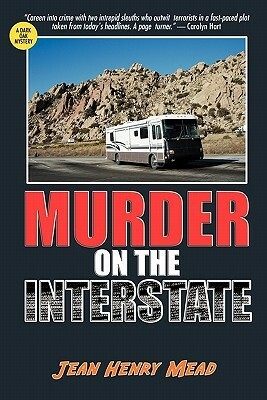 With this novel she showed her versatility while delivering a murder mystery whose ending totally shocked me. 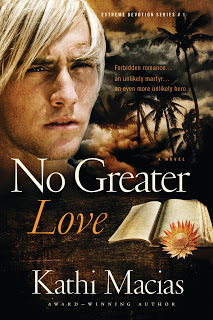 Why I liked it: This cowboy romance features great characters and a great plot. If they were all like this, more of my reading list would include this genre. Why I liked it: The author made the conflict clear from the beginning and the last chapter of this one was so strong I read it three times. 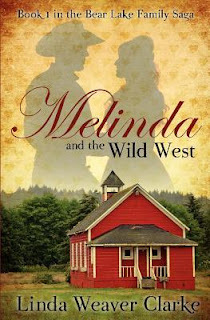 Why I liked it: Memorable characters, an engaging plot, and the heartbeat of the untamed west blend to create an excellent historical romance. 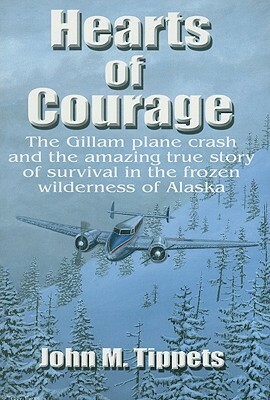 Why I liked it: This story is told by one of the survivor's sons, but it is still an objective thoroughly-researched account of survival and faith. If every memoir was this well written, my bookshelves would be lined with them. Why I liked it: This book let me know it's okay to not be the perfect wife and mother. Wishing all our readers a happy, healthy and safe Fourth of July! THIS WEEK’S RANDOM QUESTION: What is/are your favorite book title? Happy Fourth of July from the Outer Banks! 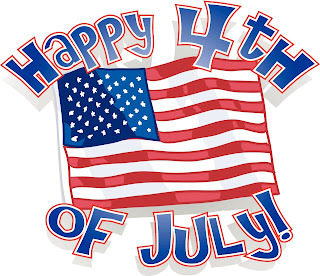 I hope you're having a great time with your family celebrating the birth of this wonderful nation of ours. It's a bit cloudy today, but we are hoping to attend the fireworks in Manteo (where Andy Griffith lived) tonight.